The world’s best players travel to Firestone Country Club in Ohio this week for the third World Golf Championship event of 2011. Adam Scott is defending champion and he’ll be looking to bounce back from a disappointing finish at the Open Championship. At 7,400 yards with a par of only 70, Firestone will present a tough challenge to the top players who will be looking to hone their games with just one week to go before the year’s final Major – The USPGA Championship at Kiawah Island. The Bridgestone Invitational has been a tournament in which Tiger Woods has excelled in years gone by. The American won the inaugural event (then the NEC Invitational) back in 1999 and he defended his title in 2000 and again in 2001. He’s won at Firestone four times since then and will start as favourite this week. Last year, Adam Scott produced a superb back nine on Sunday to move clear of Luke Donald and Rickie Fowler. He fired in four birdies to come home in 31 and win by four shots. After bogeying his last four holes at Lytham to lose the Open Championship by a single shot to Ernie Els, the Australian will be hoping he can recover quickly with another victory at Firestone. Unlike the UK, this part of the US has experienced an extremely dry summer. There’s been a prolonged spell with hardly any rain and, as a result, the course is playing firm and fast. The greens may get above 13 on the stimpmeter. Another effect of the drought-like conditions is that the, normally brutal, rough is thin and wispy. This could give an advantage to the long, yet wayward hitters. An impressive field has assembled in Akron with US Open champion Webb Simpson the only notable absentee. Luke Donald – He was joint second in this event last year and the difficult, firm ground may mean that his scrambling skills will be to the fore. He’s on good form again and snuck through the field at Lytham to finish the week tied fifth. Tiger Woods – He’s won seven times around this course and, in the early part of this century, the tournament was almost a gimmie for Woods. He came tied third in the Open and will be looking to use this event as a springboard for the following week at Kiawah. 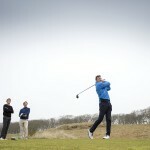 Nick Watney – This selection is a bit out of leftfield given his form in 2012. But, he has a solid record at Firestone and has shown recent signs of getting his game back. He’s a superb player when at his best and has a WGC title to his name already. He could be a good each-way bet. Key hole: 16th. A 667 yard par 5, it’s a true three shotter. A pond in front of the green means even the longest hitters can’t get there in two.